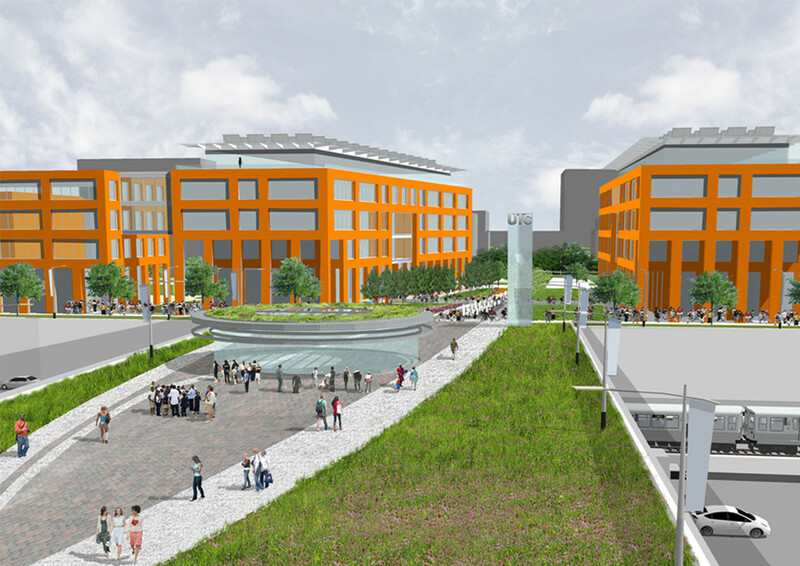 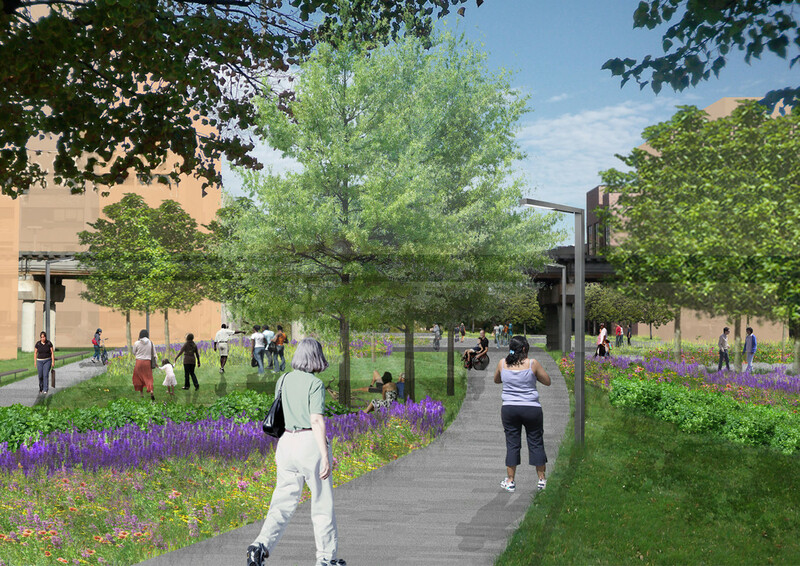 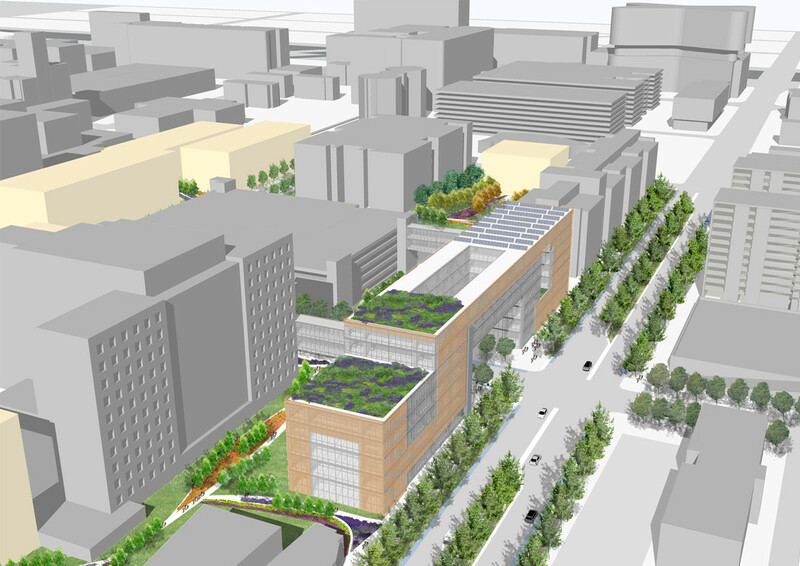 The University of Illinois-Chicago Campus Master Plan creates a framework of interconnected systems and places that allows for future open space development, facilities growth and replacement, infrastructure upgrades, and landscape improvements. 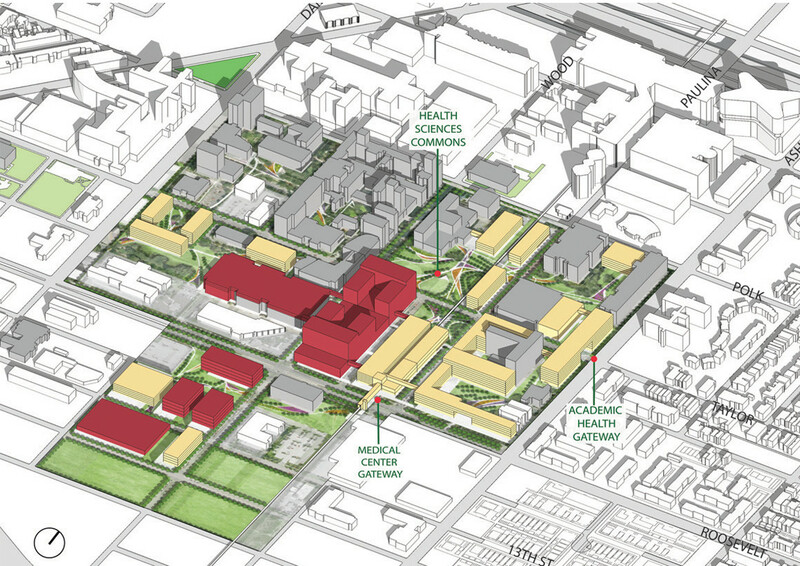 The Plan is a flexible strategy that provides for implementation as financial resources allow and space needs demand. 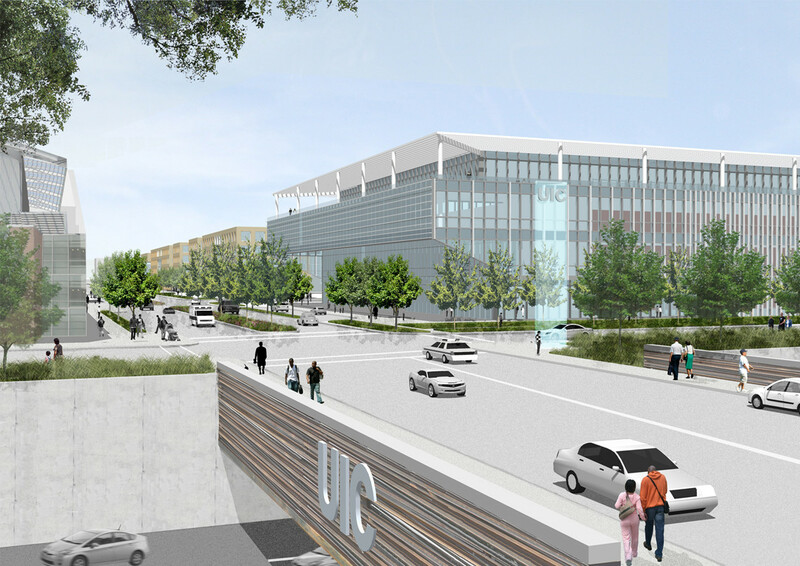 As an academic institution intent on being a leading urban public research university with a diverse student population, UIC is poised to continue its rich tradition and history with this framework for future development and creation of a more connective, vibrant campus. 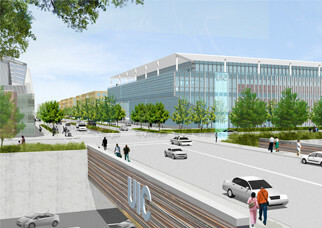 Since 1925, UIC has developed in many layers for varied programmatic uses and interests. 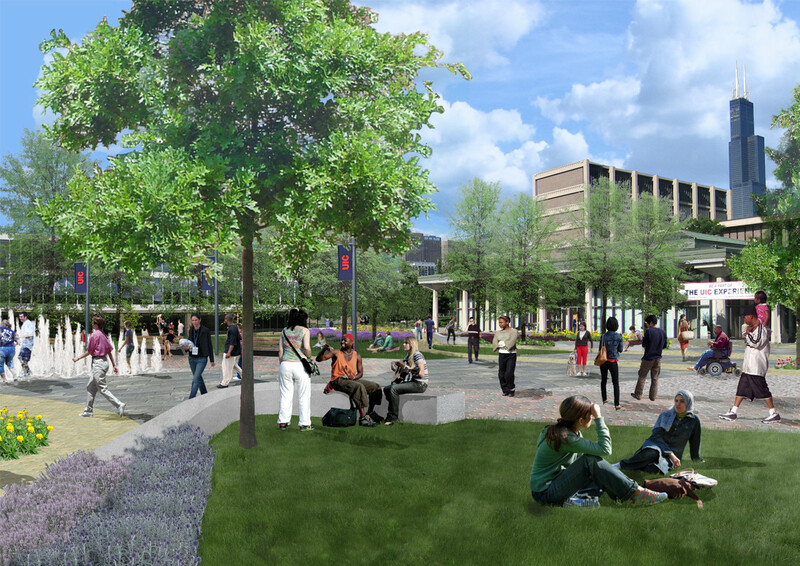 The two sides of campus, West and East, have evolved independently. 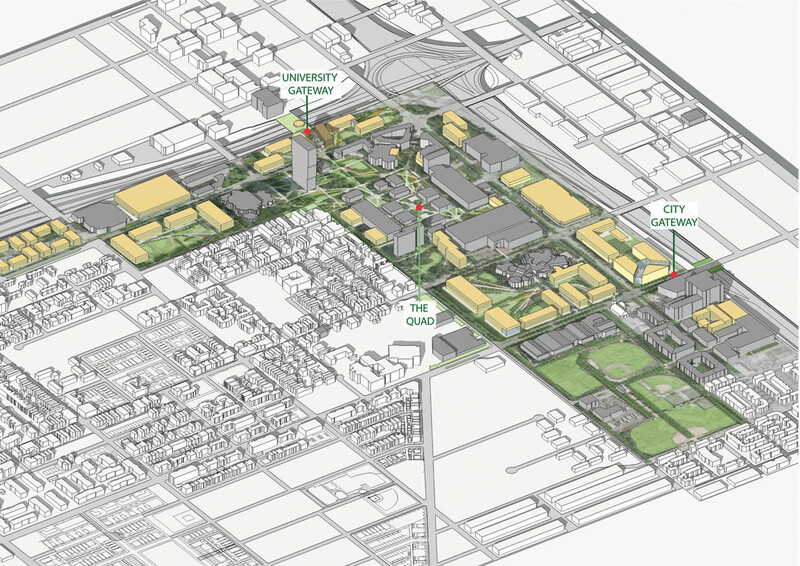 The new Plan is an opportunity to connect the two sides and create a sense of place with a more coherent, integrated campus definition. 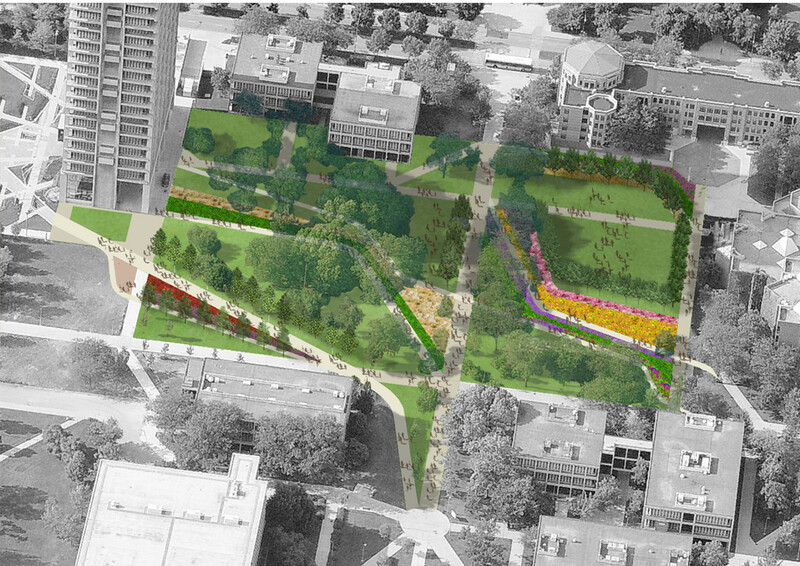 With input from campus stakeholders, students, faculty, staff, administration and the community, a consensus of issues emerged. 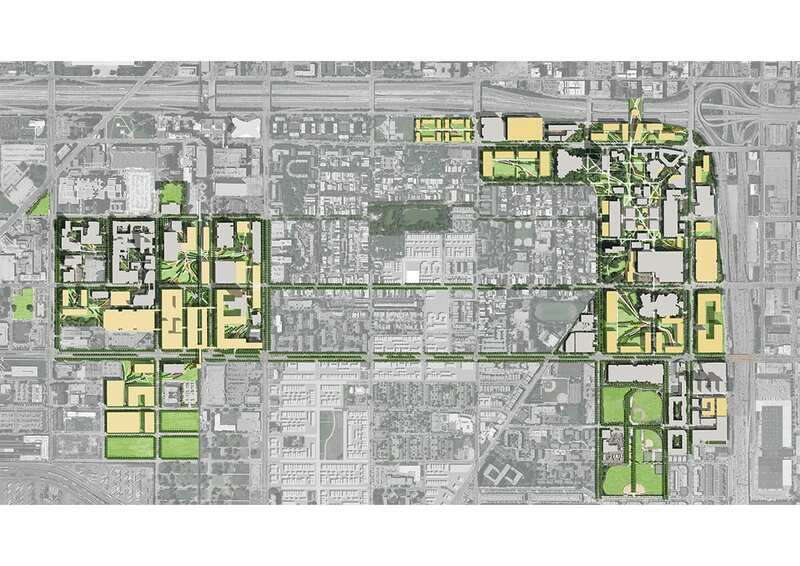 These issues had inclusive, broad, multivalent effects on the campus and frame the goals the Master Plan addresses: cohesion in campus development over time; connection between the two sides of campus and to the surrounding community; and a positive and clear campus identity.